Growing up, I was always fascinated with television shows about murder mysteries like CSI and Dr. G: Medical Examiner, as well as more lighthearted children’s shows such as Jimmy Neutron and Dexter’s Laboratory. I loved all the science aspects behind the shows, and I aspired to be a forensic chemist. So it’s no surprise that my life journey has led me to here, right now, learning about molecules and how they interact with one another; their applications in the world and living systems; and how I can potentially use them to further advance our understanding of the world. 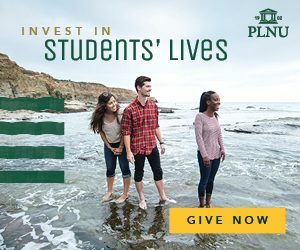 Because of my passion for science, I didn’t have even a moment of hesitation my sophomore year when the applications for chemistry research at PLNU were available; I was applying. The night I received my long-awaited acceptance email, I found out I was placed on Dr. Marc Perry’s research team, which has a major focus in the area of organometallic chemistry. I was definitely eager to begin. Participating in chemistry research has been both challenging and rewarding. I was able to jump right into a project, which involved performing cross-coupling reactions using the transition metal cobalt as a catalyst to combine molecular fragments that lead to the formation of new bonds. Perhaps unsurprisingly, I was lost at first. I spent the entirety of the summer learning how to use the instruments I needed to carry out my experiments and, along the way, slowly grasping the concept behind what I was doing with each reaction. As the summer progressed, I learned to love what I was doing; I had a routine going and was finally making progress on the project. 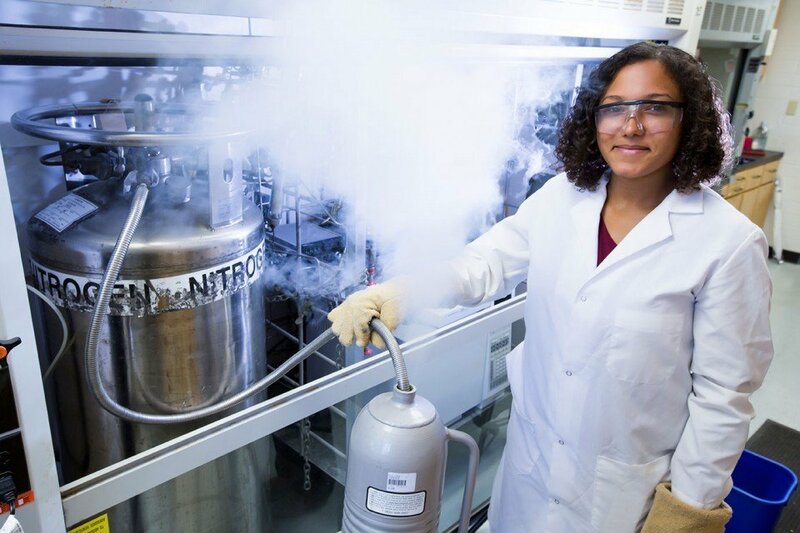 It was also a bonus that I got to work with liquid nitrogen everyday, which to my young undergraduate mind was just about the coolest thing I could be doing. Going into research, I knew that it would not always go as planned. There were days when it felt like nothing was going right, and it was easy to get frustrated. However, I now understand that even when it seems like nothing works right, I just have to try again or move onto something else. I have developed a love for what I’m working on, and I enjoy being able to do it with other people who share similar passions. I get the opportunity to work in a lab with wonderful professors and my friends doing what we love to do. Even though what I am doing is not necessarily like what I watched on television all those years ago, it is still so incredibly fun and worthwhile. Learn More: PLNU offers a degree in information technology to help prepare women and men for the future. Our current project, which I have been working on since last summer, is nearly finished. Dr. Perry and I are trying to work out the last few kinks, but we are very hopeful that this project will be finished soon and ultimately published. I am also beginning to transition onto another of Dr. Perry’s projects, which I plan to develop into my honors project. Whenever I get the chance to talk about our research with family and friends, my face lights up and I kind of “geek out.” I get so excited to share something that a lot of people do not understand. I have always had a passion for teaching, and being able to express what I do in the lab on a day-to-day basis is a great start to becoming a better teacher. As for my plans for the future, I have been narrowing down my career options in the last year, and I am currently on track to apply to various Ph.D. programs in chemistry by the end of this year. I hope to spend many more years doing research and eventually become a professor. I love learning, and I love to teach what I have learned. In fact, I have been working on my teaching ability through tutoring, which I have been doing since the beginning of high school. Related Article: Discover how PLNU MBA student and entrepreneur, Jasmine Sadler, has started her own business that blends the sciences and the arts. Right now, my focus is on keeping my options open in regards to a future specialization. There is so much of the chemistry realm I do not know yet, and I am not limiting myself to just one thing. Forensic chemistry is still an avenue that very much interests me. All in all, I love that the field I am getting into has major applications in the real world and that I could potentially help do some big things with it. I have high hopes that I will do things I never thought I could or would do for that matter. Chemistry research here at PLNU has been such a great experience. I am very thankful for the time and knowledge that Dr. Perry and the other professors in the chemistry department have poured into me. Summer research in chemistry has been taking place since 1965, and in biology since 1978. This summer, 61 students, 19 in chemistry and 42 in biology, are participating in summer research projects with 17 faculty and alumni mentors (six in chemistry and 11 in biology). The biology and chemistry summer research programs are supported by members of the alumni auxiliary Research Associates. Related Article: PLNU biology professor Mike Mooring details his summer trek into the Talamanca cloud forest of Costa Rica in the company of PLNU students.